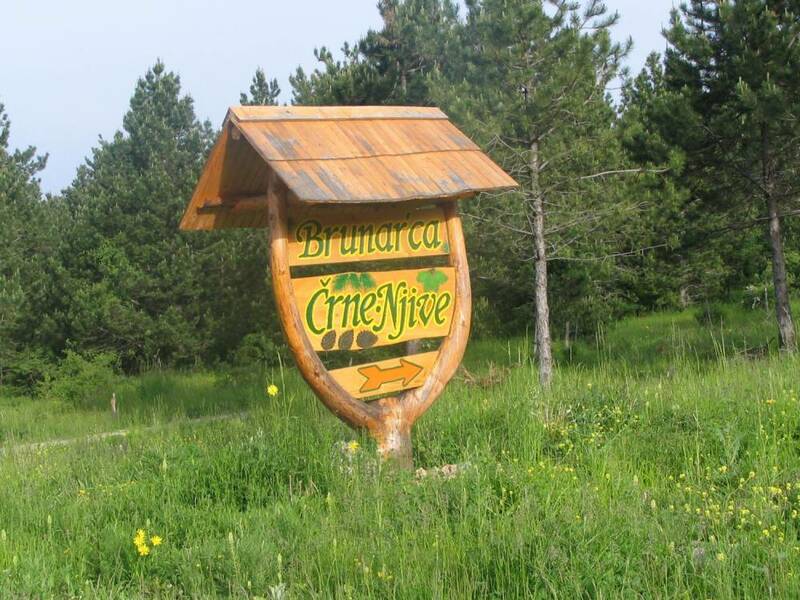 Črne njive above Ilirska Bistrica are a popular hiking destination and a starting point for many walking and running routes which lie on the western part of the Snežnik plateou, east of Ilirska Bistrica. Running club Bistrc has made six running routes all starting at the log cabin, where one can check the board with route descriptions, cartographic display and elevation graphs. All three trails start and finish at this location. You can walk to Črne njive from Ilirska Bistrica, it will take you 40 minutes, or you can drive by following the signs for Sviščaki. 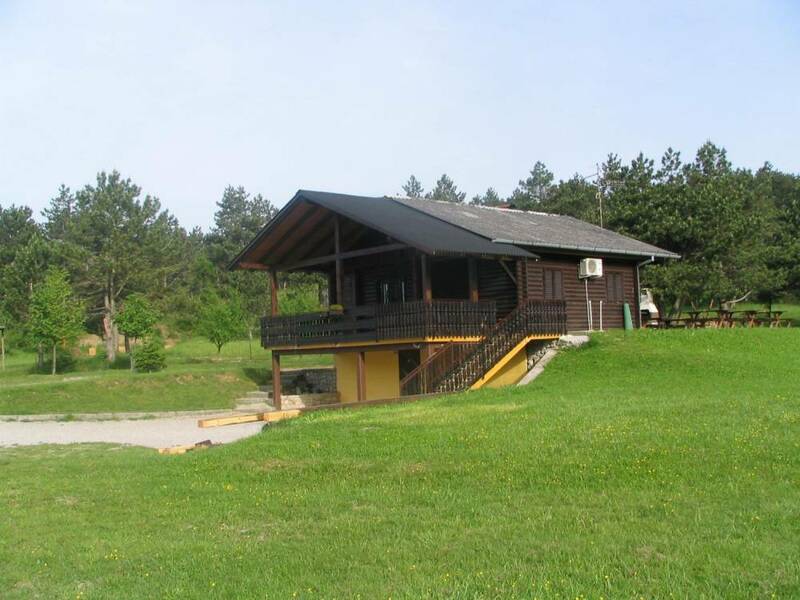 The road is quite steep, first passing St. Peter’s church (standing on a little hill top and is well seen from a distance), then a quarry, ans after approximately 2 km you will see a sign for Črne njive. Free car parking is available. Please, follow the traffic wardens’ directions. 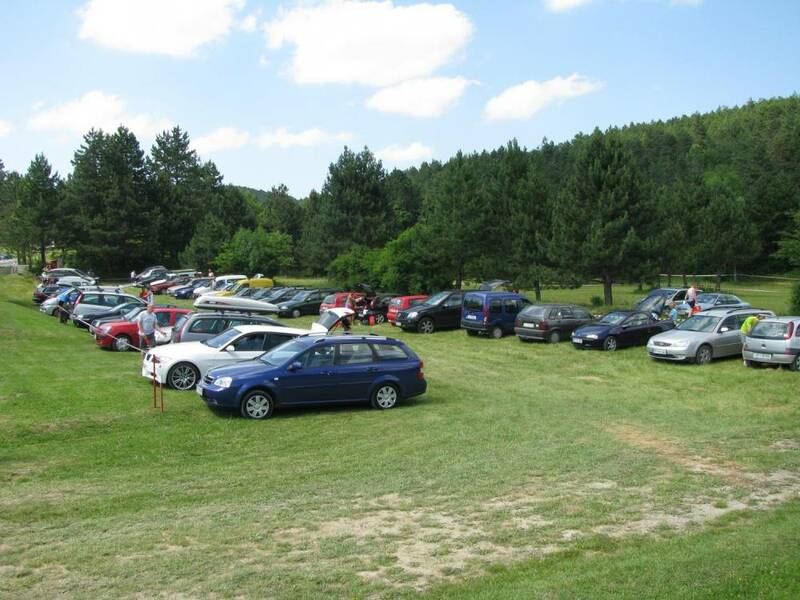 In case of a larger number of competitors, car parking will be possible at an additional location and a free transfer of competitors and visitors to and from the sports venue will be organised, according to the timetable posted on this site. The competitors’ clothing will be safeguarded at the venue for the duration of the competitions. On-line registration opens on December 2018 and for Milanja trail 17 and 31 km closes on 28th May 2019 or earlier if the limit of 200 payed registrations is reached. The registration is complete when the on-line registration form is completed and starting fee is payed on or before 28th May 2019. Payments after this date are considered as late registration. Registrations will be recorded according to the payments. The registration is confirmed when the starting fee is fully payed. Registration fee is not returned and can not be transferred to the next year. The organizer refunds the registration fee only in case of the justifiable medical reasons. If the competition is cancelled due to unexpected situation (extreme weather conditions or other natural disasters) the competitors get a 50 % refund of the starting fee or can use the payed fee for the competition next year. The list of all registered competitors and their starting numbers will be posted on this web page. Registration for the 12th Bistrica run (adult 10 km, children and youth runs) are also possible on the day of the competition (more info on the Bistrica run web page). Payment is possible through money transfer to the current account of the competition organiser. Purpose: Write your full name and the name of the route. E.g. John Example – Milanja 17 or Mary Example 12th Bistrica run. In case of the group payment write the chosen name of your group (e.g. Adventurers) and send a list of all the competitors and the routes to the organizer’s e-mail. The competition will be carried out in all weather conditions. The exceptions are only circumstances in which the safety of the participants is at risk (extreme weather conditions and other natural disasters). In such cases, the competition committee decides on the alternative route or even on the cancellation of the competition. The competition routes will be marked (tapes, direction signs, flags…). Guards will stand on all key points and help with direction. All competitors must follow the designated routes. Any use of shortcuts and running outside the route is penalized with immediate disqualification. Milanja trail routes cross local road on certain parts, therefore following traffic regulations is obligatory. Hiking sticks are allowed on Milanja trail routes. * Wearing the starting number in an invisible place 15 minutes are added to the final time (the 12th Bistrica run) and 30 minutes (Milanja trail 17 and 31 km). In case of disqualification, the organizer discusses the reasons for it after the competition and decides if the disqualified person will not be allowed to take part next year or ever again should there be justifiable reasons to decide so. Wardens, controllers and rescue team will take care of the safety of the competitors in the competition. At any time the rescue team, controller or warden who decide that the competitor is no longer able to safely carry on in the competition can eliminate the competitor, take care of him and arrange a transfer to the finish line should that be necessary. Failing to follow this decision, the competitor is automatically disqualified. By signing the statement at registration the competitor agrees that he competes at his own risk and that he is familiar with the competition rules and the possibility of facing dangerous situations that could occur during the competition. Due to the difficulty of the competition, persons younger than 18 years are not allowed to take part in Milanja trail routes, however they can participate in the 12th Bistrica run 10 km. By registering the competitor waives the possibility to transfer liability to the organizer, other competitors or third party. By registering the competitor confirms that his psycho physical abilities are suitable for this kind of competition and that his health insurance is settled. Furthermore, he agrees to carry all the mandatory equipment throughout the competition. Registration without the signed statement is not valid. You can send the signed and scanned statement to the organizer by e-mail or give it to the organizer at collecting of the starting numbers..